It's time for a trip to the beach! 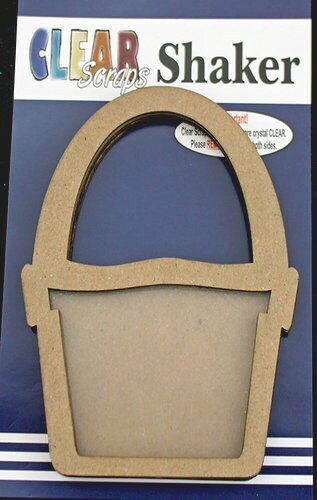 Add a fun 3D shape to a card, page or other project with the Bucket Shaker by Clear Scraps. The package includes materials to make one shaker embellishment one acrylic shape divider, one chip back and three chip cutouts for laying. The bucket measures approximately 3.5" x 4.5".